Apply, grow, succeed! MouseBelt Blockchain Accelerator has put together a new investment fund aimed at helping university students accelerate their early stage blockchain projects and companies. We are now accepting applications for our Spring 2019 Pitch Competition and will be investing up to $250,000 in up to 10 projects. Applications are due April 15th. There is also a potential for additional investments in further funding rounds on a case by case basis. 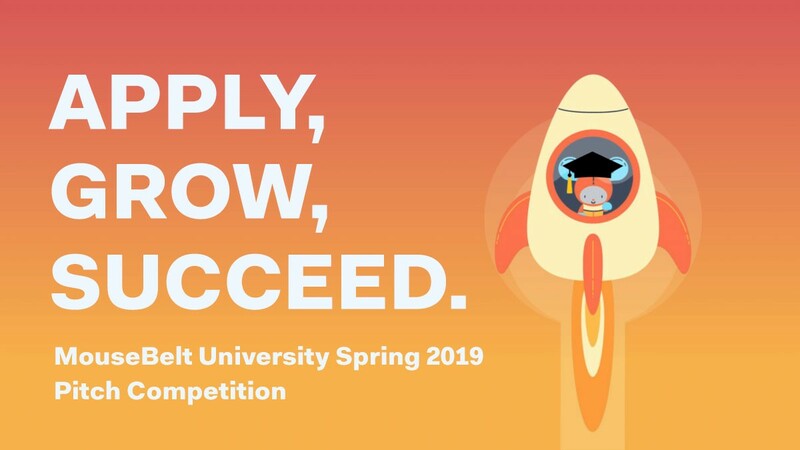 Potential applicants can get advice about their projects before the due date from industry experts through MouseBelt University — currently the largest association of university blockchain organizations offering funding, educational resources, and a platform for cross-campus collaboration. Students from over 60 schools in 13 countries have access to one-on-one mentorship with members of our engineering, business development, and university teams. Applicants are encouraged to join the program (program participants must belong to a campus blockchain student organization or be associated with a college or university). Please visit the website to learn more. When we take on a project, we treat it as our own and we will work tirelessly to make sure you succeed! We know some of the greatest innovations in blockchain are going to come from students like you. Don’t miss out on the opportunity to turn your ideas into a reality!